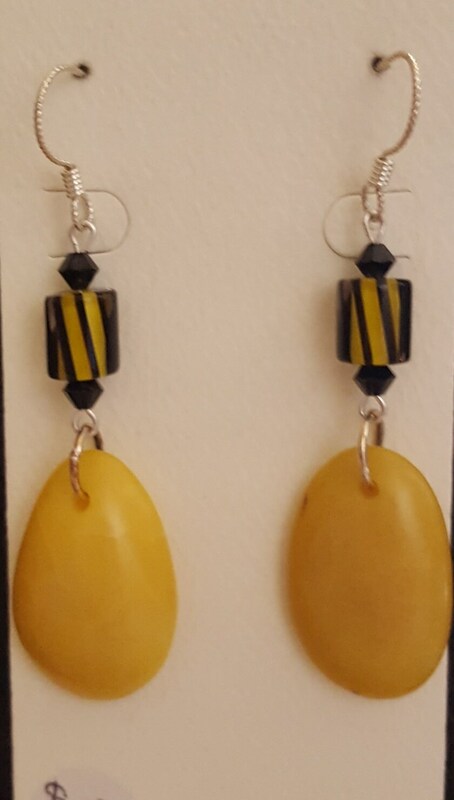 Yellow sliced Tagua Nut accented with Black Swarovski beads and yellow and black glass furnace beads. Sterling silver non slip earwires. 2" drop. Very light weight. 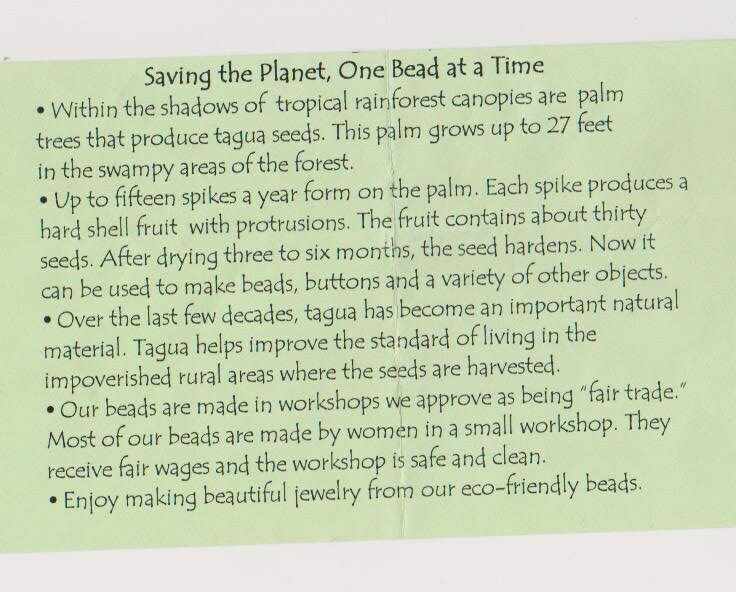 Please enjoy the Tagua nut story on the page.